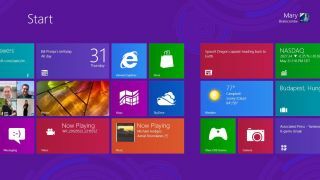 Microsoft will offer upgrades to its new Windows 8 operating system for just $39.99 (around £25) for anyone using an existing product. If you're currently running Windows 7, Windows Vista or Windows XP on your PC or laptop you'll qualify for a downloadable copy of the top-level Windows 8 Pro for the knockdown price. It'll also bring Media Center as an additional free download. A Windows 8 upgrade assistant wizard will walk you through the process and point out any incompatibility issues with the machine in question. Microsoft says the promotion will assist in making the upgrade process as easy as possible and will also extend to buying a physical disc in store, although that option will cost $69.99 (around £45). A post on the Windows 8 blog explains which files and settings users will be able to bring with them, depending on the pervious version of the OS in question. "It will ask you what you want to keep from your current Windows installation," the post reads. "You will be able to upgrade from any consumer edition of Windows 7 to Windows 8 Pro and bring everything along which includes your Windows settings, personal files, and apps. If you are upgrading from Windows Vista, you will be able to bring along your Windows settings and personal files, and if you are upgrading from Windows XP you will only be able to bring along your personal files. Of course, if you want to start fresh, you can choose to bring nothing along." The offer will be open until January 31 and after that new adopters will have to pay full price. At the time of writing we're not sure whether that mightily reasonable $39.99 upgrade price will convert nicely into £25 in proper money. Stay tuned, Windows 8 fans.